It is a relief to see that the Modi government did not run the risk of running a larger borrowing programme. Interim Budget 2019-20 tried to do a balancing act as it gave income support to farmers, while trying to keep fiscal slippage within reasonable levels and not spook markets. Sops to the middle class, the salaried, the interest-income earners, a push to affordable housing and some relief to the two-house owning better-off middle class were goodwill gestures for urban voters who have so far largely been left out. The anti-rich demonetisation and black money rhetoric was limited to a few sentences and nothing new was attempted to hurt the rich. Instead, the proposal to reduce personal interaction with income tax officials appeared to be based on the understanding that the arbitrary power of tax officials needs to be reduced. The policy framework of the government not just failed in doubling farm incomes, but might have instead seen them fall. A sharp increase in MSP prices in 2015 meant to support farmers failed to achieve desired results as higher supply resulted in a glut in markets given the government’s limited ability to procure. An income support is less distortionary for markets because it does not force farmers to produce a certain crop regardless of whether there is a demand for it or not. The proposal is an implicit admission of the failure of the minimum price and procurement scheme for additional crops as a means to raise farmer income. This is a positive development and hopefully in the coming years, the old policy framework, which is hugely expensive and distortionary, will be dismantled or will die away. Of the various ideas being discussed in policy circles, such as a partial Universal Basic Income to all rural and urban poor or income support to all farmers, the proposed scheme for a cash transfer of Rs 6,000 per year to all farmers with holdings below 2 hectares is the least expensive with a budgeted expenditure of Rs 75,000 crore next year. For putting money directly into the accounts of people this year, a sum of Rs 20,000 crore has been set aside. There is no plan to cut agriculture or food subsidy but hopefully the demands to increase MSP and procure more food grain will be less. Whether this would change the culture of farm loan waivers or not remains to be seen. No doubt, it is also meant to bring some cheer before the election. An additional benefit of an income transfer scheme to farmers is a demand boost. The high propensity to consume among the small and marginal farmers will give a boost to rural demand. The sops to the middle class come at a time when despite high official growth figures there is a slowdown in demand for industrial products. For example, post-Diwali data suggests that there is a rise in the level of automobile inventories due to demand reduction. Income tax sops to the middle class can kill two birds with one stone. It gives a sweetener to the middle class that has so far been given very few benefits in the last five years. A large sop in the last budget of the government will bring cheer just before the election. At the same time, tax cuts will raise demand for industrial goods. GDP data notwithstanding, there is a general apprehension of a slowdown in industrial growth and investment. This step will help boost demand and private investment to some extent. The fiscal slippage will no doubt not make markets happy, but many were expecting worse. Populism before an election, with little concern for fiscal profligacy, would not have been surprising. It is a relief to see that the government did not run the risk of running a larger borrowing programme. In the monetary policy meeting next week, this may mean that even though deficit targets were not met, since the inflationary environment is benign, the RBI could still cut rates. 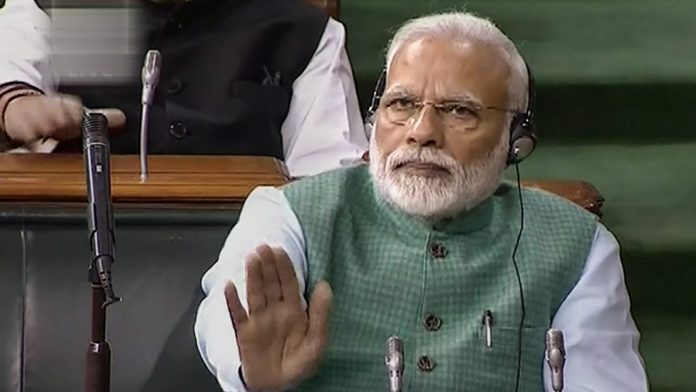 In the long-term context, the budget speech was a review of the Modi government’s policies and performance in the last five years. Of the main achievements of the government, the three main game-changers were the bankruptcy code, GST and shift to an inflation targeting (IT) regime. The success of the Insolvency and Bankruptcy Code (IBC) in terms of bringing money back to debtors has been highlighted. Although implementation of the IBC has teething problems, this was a game-changing reform. While the budget speech highlighted these, fortunately it only did lip service to demonetisation. In summary, it was a budget that tried to correct policy mistakes made by the government, highlight its own achievements and not try to defend its bad decisions. The object of presenting this Budget seems unclear. Some have called it a Scorched Earth policy, but that is not true. 500 per month to farm families with upto five acres of land is not a fortune. Landless labourers, who are more in need, get nothing. The much awaited increase in the income tax exemption limit to five lacs is a fudge, for the existing slab kicks in above five lacs. There is no mouth watering give away that would tempt voters to bring the government back. Legally, the entire Interim Budget is a statement of intent, to take effect only when a conventional Budget is passed, either by the second edition of this government or someone else. Observers are pointing out that there is nothing meaningful for either education or job creation. It would have been so much simpler to follow prudent convention and present a vote on account.